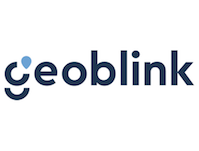 MADRID, SPAIN (March 16th, 2016) – Geoblink has announced a €1M funding round, led by Nauta Capital. The Madrid based company was founded in March 2015 by Jaime Sánchez-Laulhé, who detected this business opportunity during his previous experience as strategic consultant at McKinsey, where he worked with leading fashion retailers. Previously in 2015, Geoblink had closed an Angel round of €175,000, led by Iñaki Berenguer (founder of startups Pixable and Klink). Also in 2015, Mercadona’s (the largest supermarket chain in Spain) Chairman Juan Roig invested €200,000 as part of the third edition of the Lanzadera acceleration program. The startup has developed a location intelligence SaaS solution for companies with a physical network of points of sale. Through databases from different public and private sources, advanced statistical techniques that include machine learning methods and big data, and an intuitive visualization layer through business intelligence panels and maps, Geoblink’s software helps companies improve their strategic decisions on their network of points of sale, responding to questions such as: What is the best location to open a new center and what will its estimated sales be? Why does one point of sale work better than any other? What stores should be closed or adapted to the setting? In what area should a particular advertising campaign be launched? “This round is a huge push for us since it will help us accelerate product development and make key hires at the technical and business teams,” declares founder Jaime Sánchez-Laulhé, who estimates that staff will grow twofold this year. “Nauta Capital contributes a sizeable investment but also priceless expertise in enterprise software,” Jaime adds. “Geoblink is contributing decisively to solving an existing problem in the retail industry, stimulating the adoption of new technologies by a traditional sector such as offline retail. The impact of Geoblink’s solution is measured by the huge size and economic importance of the industry that it optimizes,” points out Jordi Viñas, General Partner at Nauta Capital who led this investment round. Geoblink is a location intelligence SaaS that targets any company with a physical network of stores. We help them to optimize their current network strategy (meaning, understand what are the key levers for store performance), their expansion strategy (meaning, where to open the next store), and their geomarketing strategy (meaning, where to perform a particular marketing/advertising campaign). Nauta Capital is a Venture Capital firm investing in early stage technology companies. Main areas of interest include B2B Software propositions, disruptive Digital Media companies, and enabling technologies for Mobile and the Internet. Nauta has $260 million under management and invests in Western Europe and the USA. Nauta has presence in London (UK), Boston, MA (USA), and Barcelona (Spain) and has led investments in 30+ companies including Scytl, Brandwatch, Fizzback, GreatCall, Eyeview Digital, Basekit, Rifiniti, ForceManager, Marfeel, Aba English, Getapp, Incrowd, Privalia and Social Point.